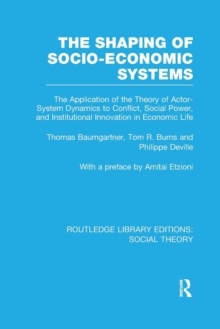 Actor-systems dynamics is an innovative, multidisciplinary methodology for investigating and analyzing social struggles over economic resources and the related interplay between economic and socio-political institutions and processes. 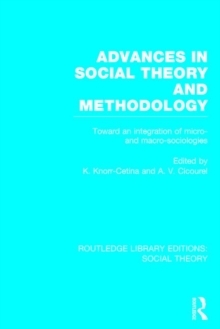 The authors, sociologists and economists, offer a systemic perspective on contemporary socio-economic issues such as economic crisis, unemployment, inflation, economic democracy and development; in their analyses, they identify several of the key factors that drive people to interact, to initiate change and transformation as well as to resist such change. 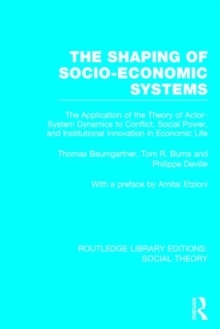 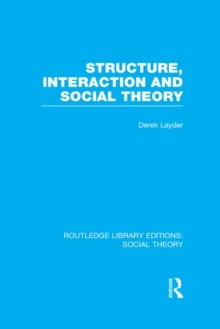 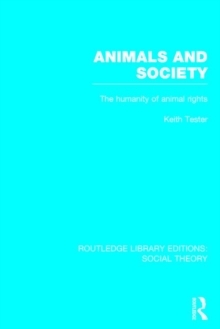 Major underlying themes in the book are: Conflict over the distribution of economic resources and economic policies and institutions; the structural bases of economic inequality and conflict; the shaping and reshaping of socio-economic institutions, and the contradictions, conflicts and instabilities evoked by such developments; the failure of orthodox economic theories, including Keynesianism, in the face of recurrent economic crises and instabilities; the development and application of an open, dynamic actor-oriented systems theory - grounded in the social sciences - addressing complex socio-economic phenomena in ways diverging substantially from conventional economics. 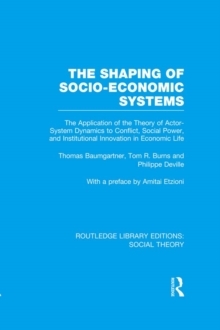 All in all, the papers collected here deal, on the one hand, with social power, conflict, and struggle concerning economic resources and institutions and, on the other hand, the structural and other factors which drive powering initiatives, conflict, and social innovation and transformation. 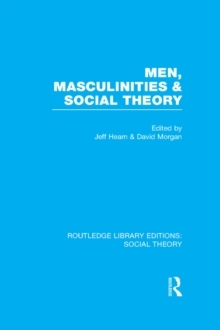 The book is addressed to a broad spectrum of social and managerial scientists concerned with socio-economic issues, institutions, and development.